10 Cigar and 2 Ashtray Sampler. 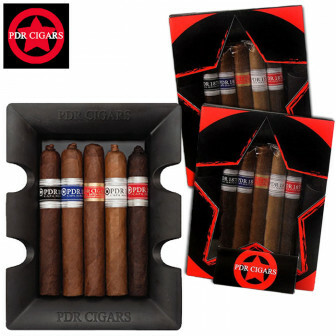 Features 2 of each: PDR Capa Maduro, PDR Capa Sun Grown, PDR Small Batch Reserve, PDR Capa Natural, and PDR Capa Oscuro. All 5"x50 Robusto Size.